Shake up your weeknight dinner routine with a bold new flavor and an unexpected cut of meat. The Middle Eastern spice blend called za'atar, a mixture made with dried herbs such as thyme, oregano, and marjoram as well as sesame seeds, is the perfect accompaniment to lamb. 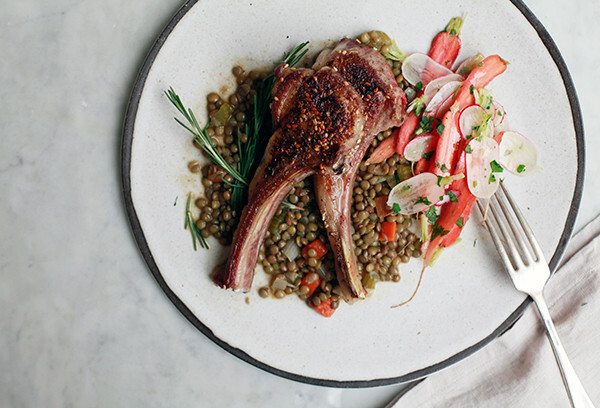 Rubbed with the aromatic seasoning and seared in a skillet, these elegant but exceeding simple-to-make chops are served over a comforting mound of stewed lentils for a dish that's sure to transform your dinner table. Lonny's go-to recipe contributor Diana Yen serves them with a side of shaved carrots and radishes with a squeeze of lemon juice to brighten up the meal. After all, you know what they say about eating the rainbow. Prepare the Lamb: Season chops with salt and pepper. Rub za’atar spice mixture over both sides of chops and let stand at room temperature. rosemary sprig and bay leaf before serving. Make the salad: Place the shaved vegetables in a bowl and toss lightly with olive oil and lemon juice. Season with salt and pepper. 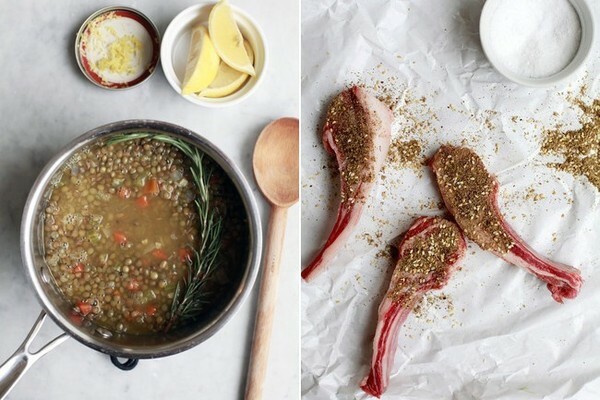 Cook the Lamb: Heat 1 tablespoon olive oil in a large skillet over medium-high heat. Add lamb; cook until browned, about 3 minutes per side. Depending on the thickness of your chops, this will cook them to rare or medium rare. If you would like your lamb chops more well done, transfer the skillet to a 400-degree oven and roast lamb chops to desired doneness, about 5 minutes for medium-well. Transfer lamb to platter, cover, and let rest 5 minutes. 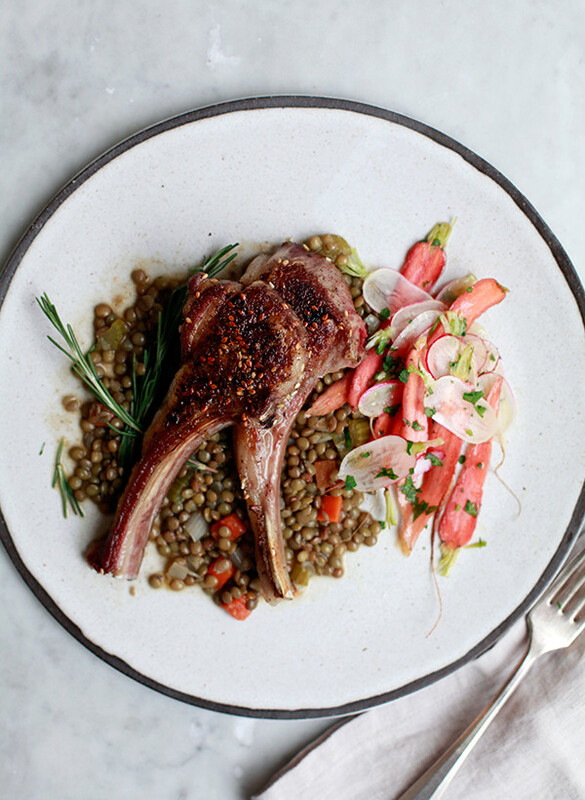 Serve the lamb with stewed lentils and shaved vegetable salad.